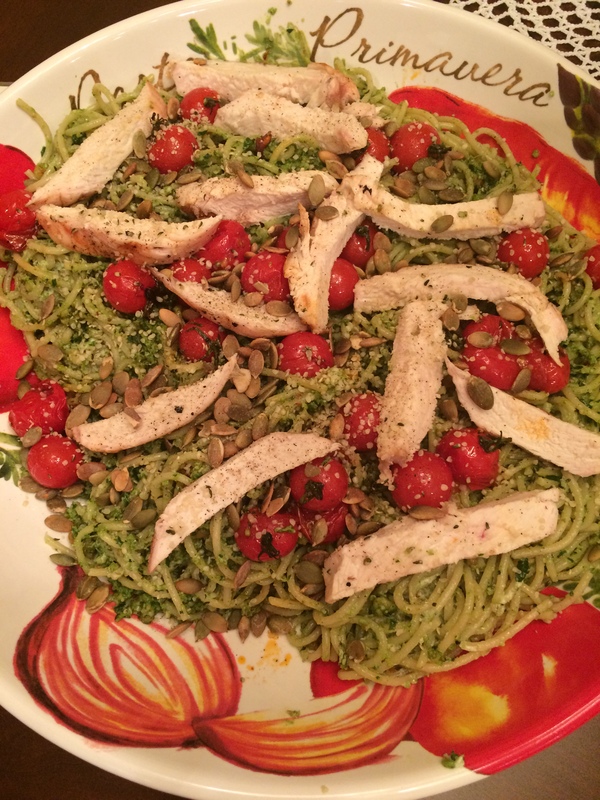 I seem to post about this pesto recipe a lot but, I can’t help it! I love how versatile it is and how you can change up a few ingredients depending on what is in your fridge. It’s so easy and it is seriously great for leftovers not to mention the nutrients that pack a punch.